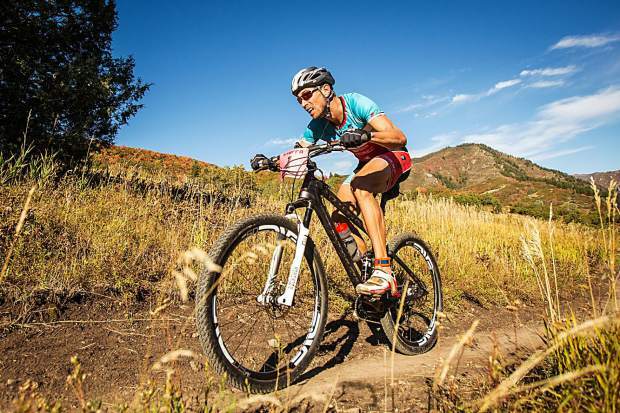 Josiah Middaugh, winner of 12 Xterra National Championships and the 2015 Xterra World Championship, will teach a seven-week course at the Athletic Club at The Westin. AVON — The Athletic Club at The Westin will kick off 2017 with a special seven-week CompuTrainer Class & Training Plan with 2015 Xterra World Champion Josiah Middaugh from Jan. 3-Feb. 16. With a focus on muscular endurance, pedaling skills and strength, the course will feature coached rides with Middaugh every Tuesday and Thursday at 12:15 p.m. in the Athletic Club’s Cycling Studio. Middaugh will also prescribe a weekly “homework” ride with detailed coaching notes and two cycling-specific training sessions each week. The class — which will start with power testing so that each cyclist will be training in the proper power zones — is open to cyclists or all levels looking to increase their cycling fitness and performance. The price for the seven-week course and training plan is $250 for Athletic Club at The Westin members and $350 for non-members. Early registration is required, and to save your spot, please call 970-790-2051. Middaugh has been a sponsored CompuTrainer athlete for 15 years and has a decade of experience teaching focused CompuTrainer workouts in a group setting. Training on the CompuTrainer has facilitated his rise as one of the best cyclists in the sport of Xterra triathlon – including 12 Xterra National Championships and the 2015 Xterra World Championship. Middaugh also obtained a master’s degree in kinesiology and holds the title of Certified Strength and Conditioning Specialist from the National Strength and Conditioning Association. For more information on Middaugh, visit middaughcoaching.com. For more information, please visit http://www.athleticclubwestin.com.